Mix first four ingredients in a bowl. 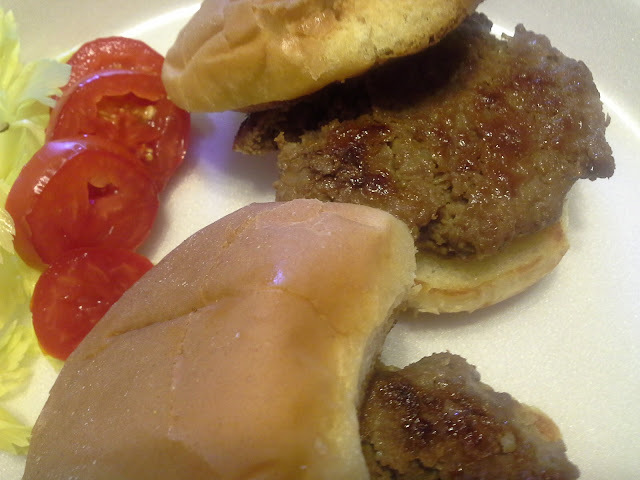 Divide the mixture into 6 or 7 equal portions, and then shape them into small burgers, about 3 1/2 inches wide. Pan fry them to your desired taste, medium rare, well, etc. Place burgers on slider buns and dress with lettuce and tomato. Enjoy!